With Christmas shoppers manically hunting down the last of their Christmas presents and the Christmas cakes baking in oven, the festive season is in full swing. Christmas is just nine days away now and we thought what better way to celebrate than to showcase our top Christmas creations over a glass of mulled wine and a mince pie. Over the 12 days before Christmas day, we’ve been singing you our version of the 12 days, or should we say cakes of Christmas on our Facebook page. But that’s not all; we’ve also given you the chance to win one of the new additions to our afternoon tea range – a Fraisier cake. 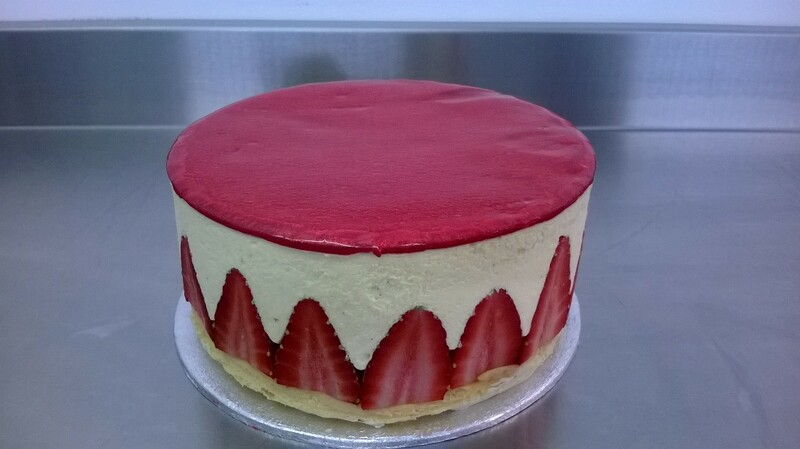 This creation is a classic recipe and is made from three components – the sponge, crème patisserie and strawberries (see below). On the first day of Christmas my true love sent to me, a yule log in a photograph. Traditionally, the 12 days of Christmas refer to the days after and not before —from December 25 to January 5 – but recent marketing activity has shown businesses engaging through social media channels. So this year, we thought we’d join in with the festive fun and surprise you with a present of our own. A simple ‘Like and Share’ on the cake of that day could see you indulging in one of our caketastic Fraisier cakes. Pretty simple eh? Well why not head over to our Facebook page and get involved at https://www.facebook.com/ContemporaryCD. The winner will be announced in the week following Christmas and we wish you the best of luck! 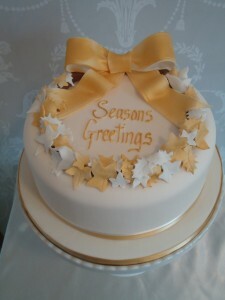 With the winter nights looming and the cold weather blossoming it only means one thing – Christmas is on the horizon. Christmas is one of our favourite occasions of the year here at Contemporary Cake Designs and there’s nothing more perfect than tucking into a brandy filled Christmas Cake. Try and bake your Christmas cake 4 to 6 weeks before hand and you will find that the longer you are able to keep it after cooking the moister the cake will become. Soak the dried fruit overnight in a little brandy. Use one dessert spoon for each pound of fruit. Bake your cake on a low temperature until knife comes out clean. For easier cutting royal icing beat icing until light and fluffy. Add one teaspoon of glycerine to each 1lb(500g) of icing. Use dried egg white-based powder if you want to avoid raw egg white. 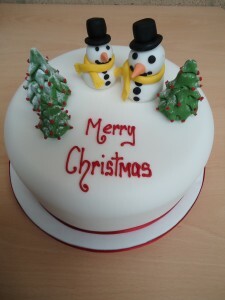 Use roll out icing for a quicker easier cake covering. Roll out on icing sugar. 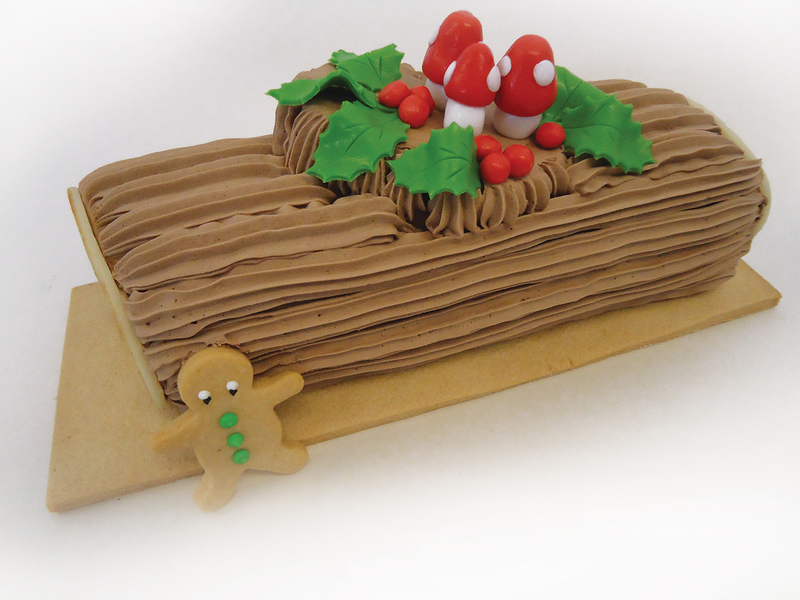 Brush marzipanned cake with a little brandy, lay over the rolled out icing. Smooth the top and sides of the cake with your hands or a special smoother.